Communities living near the UK's nuclear submarine storage sites have been critical of the MoD for years. 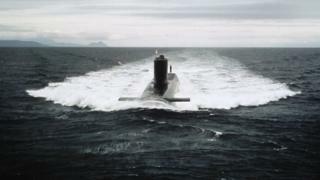 Although defence chiefs insist the subs are safe, some experts have warned of potential radiation leaks. Christelle Gilbert, who lived on a housing estate near the Devonport dockyard, told the BBC in 2014 it was "disgusting" that it was taking so long to get rid of the vessels. "It's just too long for the submarines to be sitting there as a potential threat to the city. It's a lack of responsibility on the government's part not to get them moved," she said. "I have a son and I don't want his future jeopardised by it."